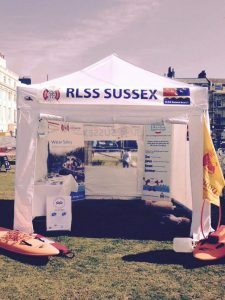 The Branch is offering its Gazebo for Life Saving Clubs within the Branch to hire for any events that they are holding. Price: £15 initial hire fee per event THEN £10 for each extra day of use. If you have any questions, please speak to Doug Simmonds or Lee Wright. Liability: Clubs borrowing the Gazebo will be held liable for damages to the Gazebo and the cost of repairs or total replacement of the Gazebo will be charged. However, the total cost payable by the Club will not exceed half the price of a new gazebo with the same specifications. The Club will not be held accountable for the ‘wear and tear’ element of damage to the gazebo as this is covered in the hire price. Intended Use: The intended use of the Gazebo must be for the promotion of Life Saving / Drowning Prevention. 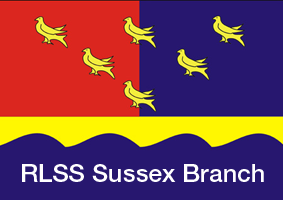 Any other requests that fall outside of this category must be approved by the Sussex Branch Management Committee. Delivery and Collection: The Delivery and Collection must be made from The King Alfred Life Saving Club. Please contact Doug Simmonds beforehand to ensure you are collecting and delivering at a suitable time.